The Disc Jam music festival has become one of my favorite spots to hear music that isn't yet on my radar. Sometimes just wandering the field in the middle of the day, something will catch my ear and stop me in my tracks. It's happened numerous times and it's one of the things I dig most about that gathering. This year was no exception. Case in point - Boston's own Dub Apocalypse. We happened to be cruising by the main stages this year when we felt that familiar sensation of something good in our ears and had to stop and listen. Oh look! That's Eli from Dopapod on keys, but who is that he is playing with?! This is fantastic! That guitar grooves like Gilmour! Holy magical woodwinds, Batman! Hey... is that Van Martin?! This was our introduction to who we realized was Dub Apocalypse. The band is a dub reggae instrumental group comprised of an incredible amount of knowledge and talent. So who exactly are these guys? This band is a blender full of experience, respect, and talent unlike most in the scene. A quick peak on their website bio was all I needed to confirm what I knew just seeing the band play. Drummer Tommy Benedetti is one of the founding members of John Brown's Body, who blew me away with their sound check alone at the Stanhope House about five years ago. Guitarist Johnny Trama shared the stage with the incredible Ron Levy. Timo Shanko is a dual master of bass and saxophone, having played with both Eddie Kirkland and G Love and Special Sauce. Bassist Aaron Bellamy is a known force in the Boston funk scene, bringing his brand of pushy funk beat. Guitarist Van Martin is known for his work with Bernie Worrell and Big Daddy Kane as well as a deep love and respect for roots reggae and dub styles. While being based out of Boston, the band plays all over the New England area. 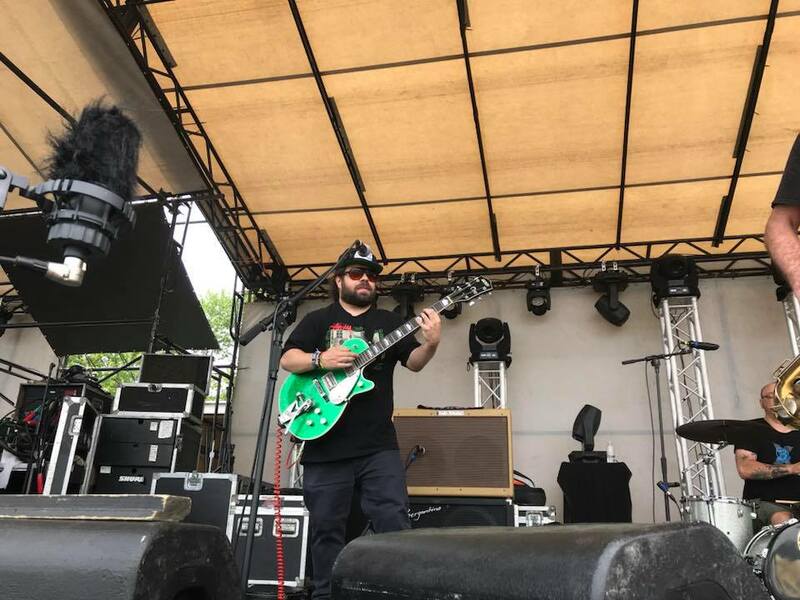 We caught them on the festival scene this year, where they are no stranger, but they are also known around pubs and headline shows at The Sinclair in Cambridge and the Knitting Factory. 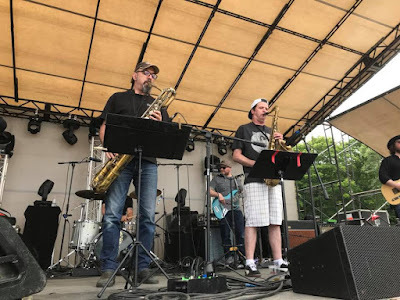 The band has a couple residencies as well, playing the first Saturday of the month at Treehouse Brewing in Charlton MA, as well as one of the longest running and most successful weekly residencies in the Boston area, every Sunday night at Bull McCabes in Union Square, Somerville. The band has been calling it home for over eight years. Dub Apocalypse are also recipients of 2 Boston Music Awards for Best International Artist in 2011 and 2017. All together, this is a stage full of more talent than I know what to do with. I could not wait to delve into their 2018 record, Frozen Planet. The first thing I have to say is how incredibly deep the saxophone hits you on every track. There is a cool, effortless style to it's playing and it layers like sweet icing on every song it's handed. Goes Around, Comes Around is a great example. The sax is the voice. There is a story in the notes, and it's fantastic. I also love the steady beat of songs like Dubmission and A Coffin for My Ego. The drums and bass weave a cool rhythm sensation in their playing. The bass on this album is incredible. I love the fact that while it could very easily be thrown out on top of the mix, it's an equal part in how it's all been woven. It's something I really love about this record as a whole. Nothing is too out front. Every awesome aspect of this band is evenly distributed in each song, no matter how different. I love the guitar style of the whole record as well. One of the things that made us stop and pay attention was this very cool Pink Floyd thing that happens every so often with the guitar sound. I absolutely had to mention it when we got to meet the guys backstage at Disc Jam. My favorite song on the Frozen Planet album though is Moving On. The guitar is incredibly catchy and all the sounds are layered and cool against one another with such a light, fresh groove. I also have a bit of an addiction to Sunstroke, which with it's deep bass groove and steady, marching drum beat has a feeling like the middle of the night in the city when it's hot and quiet, but you can still feel the energy buzzing. It's like a smooth pulsing and plucking vibe that carries you along. It's just a really cool track. For as much as I dig the record though, this band is fire on stage. They ignite like crazy when you put them together to play and it's something I can't suggest strongly enough that you experience as soon as humanly possible. These guys get into a groove that blends all their respective experiences and explodes like a blender with no lid. The music will carry you somewhere else, and it's just the best experience. Dub Apocalypse brings the best of so many scenes to one stage, and that is truly where this band shines. Even just stopping by their Facebook page and checking out some of the older live streams will show you the deep groove this band carries, the sick solos they all kick out, and the overall awesome sound that is something so incredibly cool to hear. Often you see bands on stage and there is just no chemistry. Their music is forced, overdone, and cold. Dub Apocalypse is NOT that kind of band. Their chemistry is effortless and it comes through in every note they put out. They are having fun, and it's impossible to stand still. 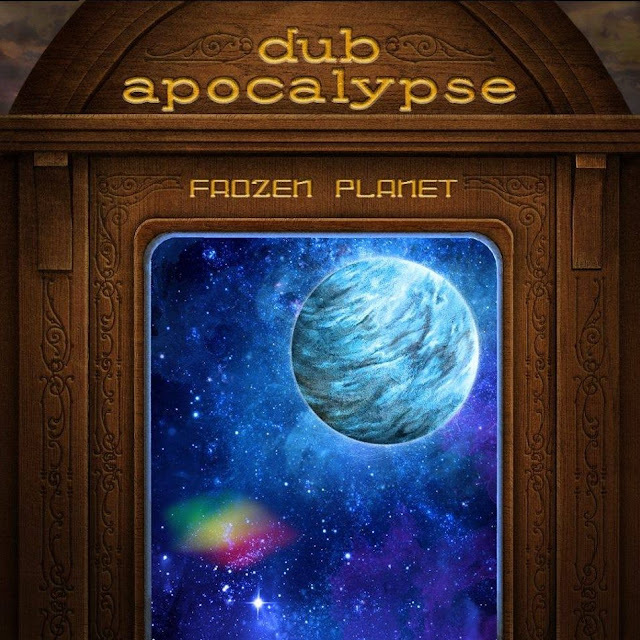 "I think that Dub Apocalypse has our own unique spin on reggae/dub music/ We do use a heavy drum and bass approach as the foundation, but we also incorporate some non-traditional chord changes, and since we are mostly instrumental (all instrumental on record, some vocal tunes live), melody and harmony are very important to us. I almost think of us using a jazz approach. Not in the standard sense, but with the interaction between the musicians, and the willingness to improvise and take chances at times." , because we play so much, we have many other phenomenal musicians who join us occasionally. Dana Colley - Morphine, Tucker Antell, Ashish Vyas (Thievery Corporation), DJ Mister Rourke (Club d'Elf) and Mike Rivard (Club d'Elf). This keeps the sound and vibes really fresh, depending on what show you catch." I can't recommend these guys highly enough. They were one of the best surprises for me at Disc Jam this year, and apparently I am way late to this party. No matter though, because it's a damn good party and I am inviting you all in! You can catch Dub Apocolypse on their Facebook like stream every Sunday night, giving you your weekly dose of awesome dub. It's something I will be doing from now on! Check them out on their Facebook page here.